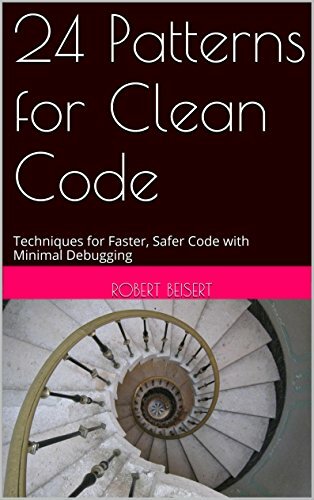 [PDF] 24 Patterns for Clean Code: Techniques for Faster, Safer Code with Minimal Debugging | Free eBooks Download - EBOOKEE! Description: There is the right way to do things, and there's the wrong way to do things. Unfortunately, most of us don't really take the time to figure out which way is which. Robert lays out 24 patterns of thought and design that tend to produce faster, more reliable, and easier to maintain code without noticeably increasing the difficulty or decreasing the speed of coding. In this book, you'll learn about Niklaus Wurth's 3-10 rule, speed-documenting tools, and the techniques that keep memory leaks out of your code. No comments for "[PDF] 24 Patterns for Clean Code: Techniques for Faster, Safer Code with Minimal Debugging".